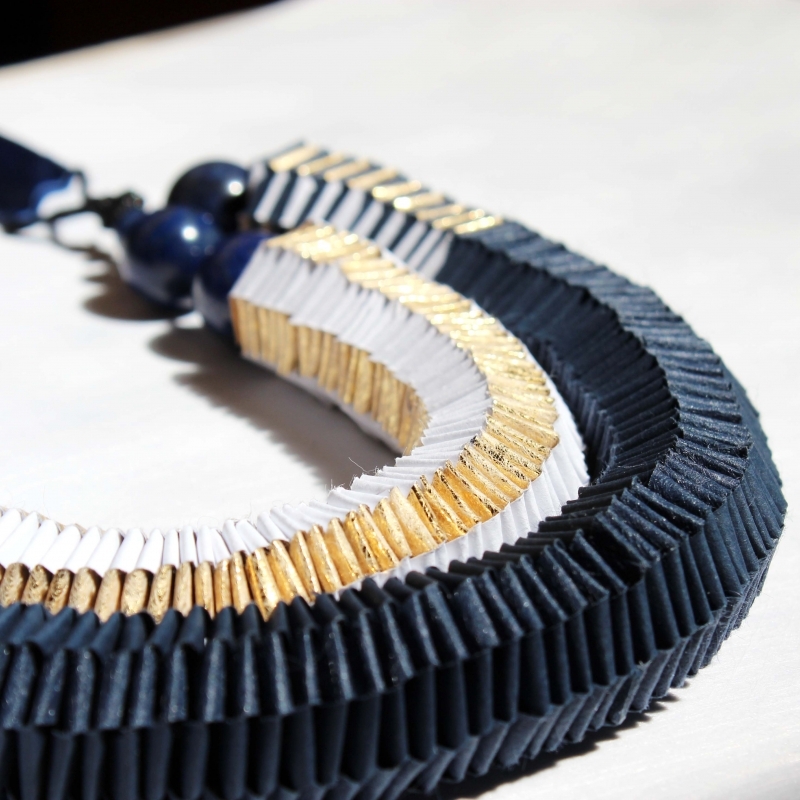 AO2 is a macro necklace made with Favini TWIST fine paper in blue and gold obtained by weaving strips of paper. 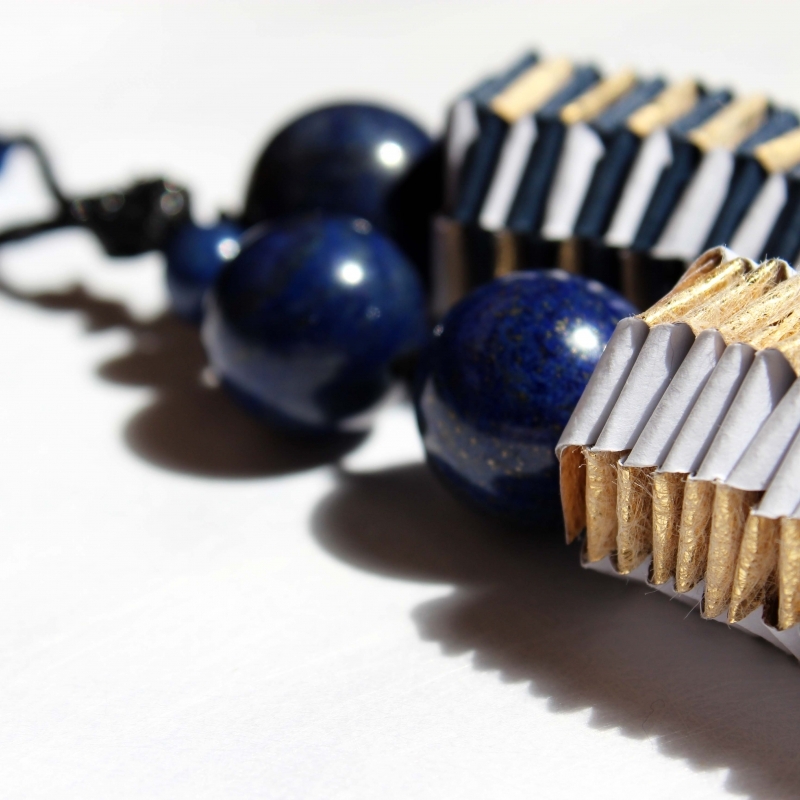 The colors are in perfect harmony with the lapis lazuli that make it even brighter. 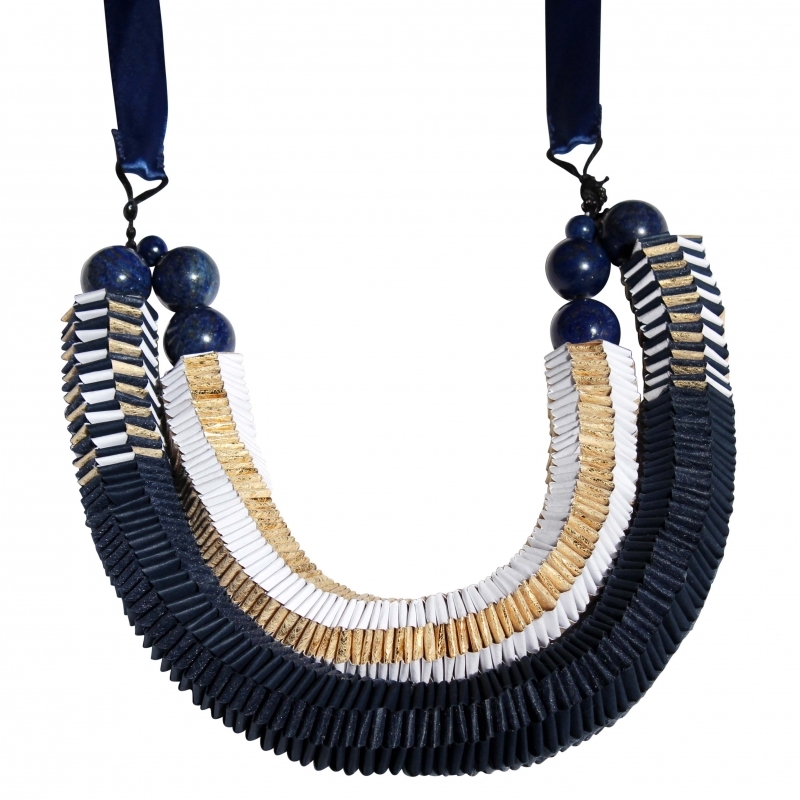 Despite the size, the necklace is extremely light and the satin silk ribbon allows you to adjust the length. Due to the handcrafted nature of this item, slight alterations may occur. This piece is not waterproof, but the paper is very resistant for its intrinsic qualities and indeed it is usually used in luxury packaging. I used a water-based glue to preserve the white side of paper. The rest of the paper is not treated in order not to lose the particularity of its texture. But it makes the paper incredibly resistant over time Furthermore, this type of weaving makes paper even stronger. However, take care of your jewelry made entirely by hand: do not expose it to excessive heat sources and do not immerse it in liquids. Therefore no shower, sea or pool with it, but a few drops of rain can withstand very well, otherwise with the umbrella everything is solved! This item is surprisingly strong, however, like all jewellery, it should be treated with care. Do not store with other heavy objects pressing against and pay attention also to perfumes and make-up.